The Sportkings brand returned for 2018 and as expected, it includes a diverse checklist including athletes and names from various sports. 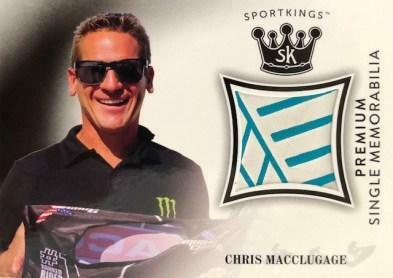 Previously a Leaf Trading Cards brand, the 2018 Sportkings Volume 1 edition was produced and distributed by SAGE Collectibles. 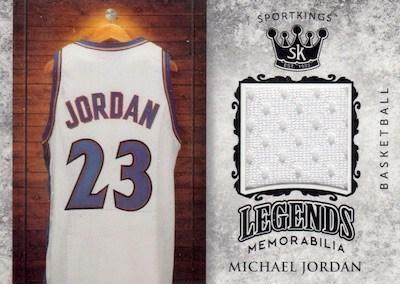 Sportkings is known for its multi-sport checklist and this release is no different. 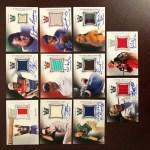 You can find many big names from several sports across the base and insert sets including, but not limited to, Walter Payton, Jim Thorpe, Jim Palmer, Fred Couples, Joe Louis, and Hakeem Olajuwon! 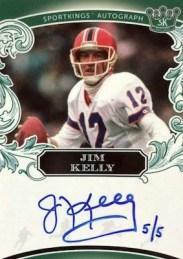 Base cards in this set have an added level of collectability to them. Base cards pulled from hobby boxes are different from those found in blaster boxes in a few ways. First, hobby base cards have green text on the back while the retail base have black text. 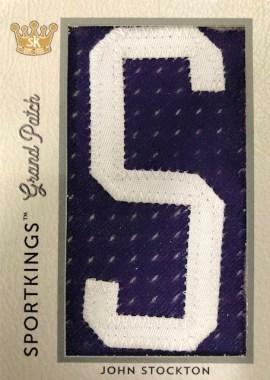 Second, hobby base include a trademark circle on the front while the retail does not, as seen below. Hobby base cards are all limited to 100 copies, although not numbered, and all hobby base mini parallels are limited to 50 while also not being numbered. Look for red text parallels of the hobby base cards limited to 1 as well! But, the “hits” are the main attraction in this product. All autographs are signed on-card! Yes, all of them! 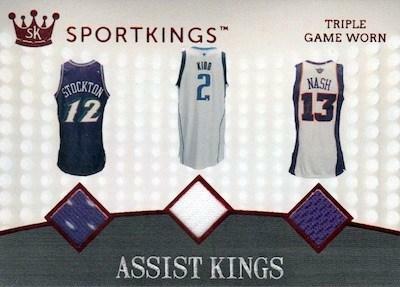 On-card autographs is something that collectors have been clamoring for and Sportkings delivered that with this set. 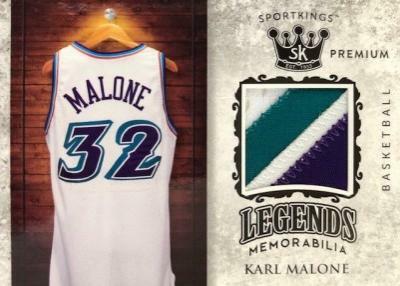 There’s also no shortage of impressive memorabilia cards included in this release. 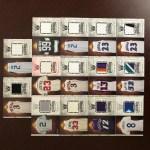 Take a look at the list of insert sets that include memorabilia swatches. 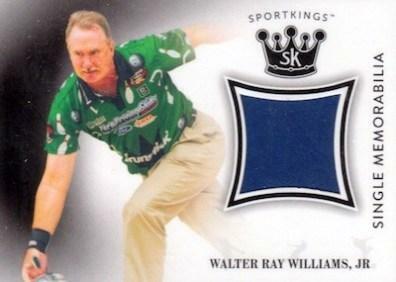 Last but not least, Sportkings Volume 1 is loaded with unique 1-of-1 cards! We’re not talking about a 1-of-1 parallel of a card that already has 10 color variations somewhat diluting the value of that limited card. No, we’re talking about 1-of-1 jumbo relics, cut signatures, and original artist renderings! 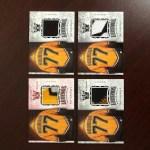 The attractive characteristic of these unique 1-of-1 cards is that the checklist includes athletes not seen anywhere else in the Sportkings release with names such as Kobe Bryant, Mickey Mantle, Mike Piazza, John Wooden, Tom Brady, and Wayne Gretzky, among others! While some athletes included in this release may be unknown to some, that doesn’t mean that this product lacks value for those looking to recoup their box or case prices on the secondary market. 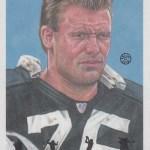 Take a peek at some of the completed eBay sales and see for yourself! 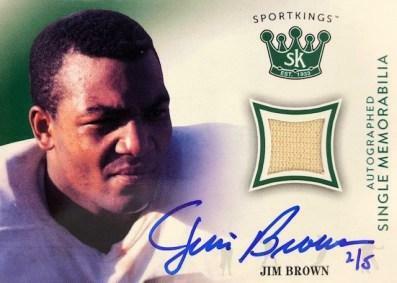 While Sportkings may be unfamiliar to some, it’s certainly worthy of at least a taste-test as the wide array of subjects should appeal to almost every collector in some fashion. 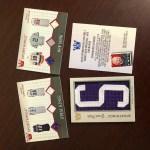 It’s loaded with potential and the premium patches are extremely eye-catching! 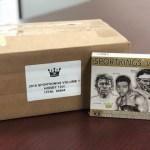 Visit our Sportkings page to purchase your box or case today!